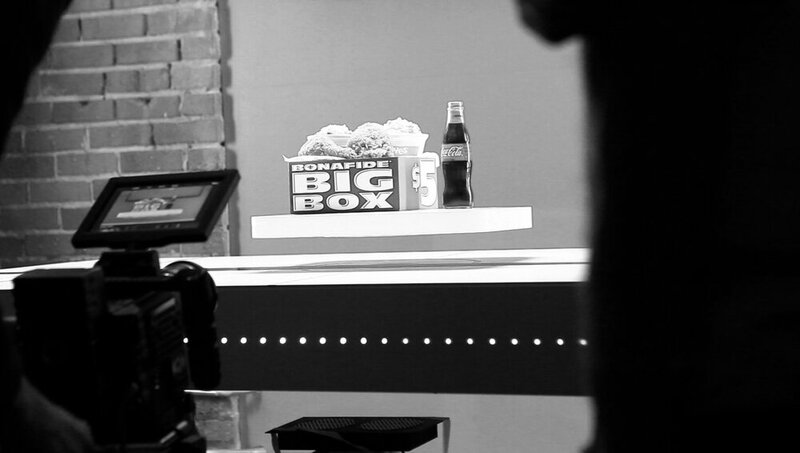 The Popeyes Big Box Crave Off campaign features a game of tug-of-war between two players, pulling at a levitating Popeyes Bonafide Big Box meal - using only the power of the mind. Yes, you read that right. 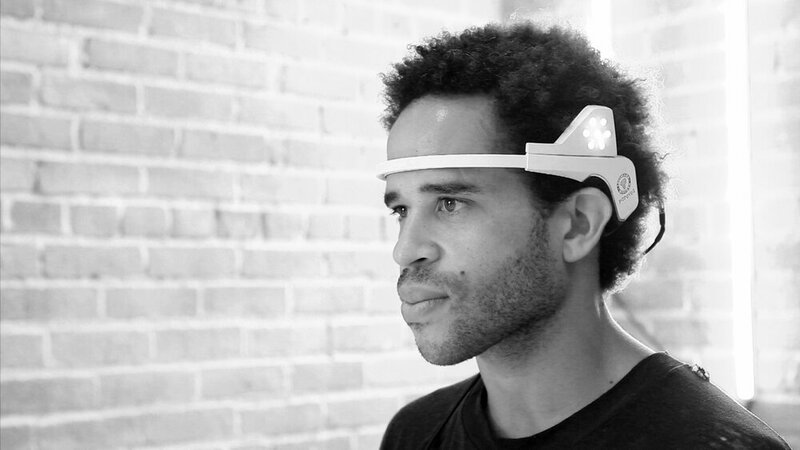 Each player wore a custom-made, branded EEG headset that translated their brain activity to the strength of "pulling" the hovering meal toward themselves. The custom-built table top concealed a digital linear motion system which moved the electromagnetic levitation device. 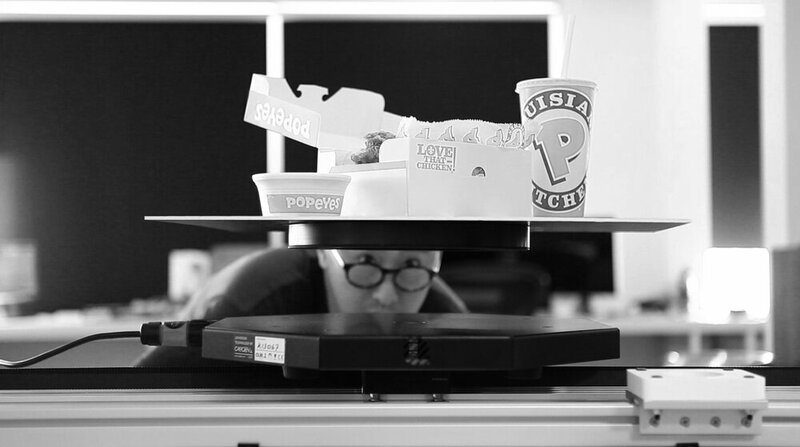 As the players competed, our system translated brain activity to the robotic conveyor belt, oscillating the hovering meal back and forth, closer or further, until the stronger craving won. To enhance the visuals on set we designed a video game-like life meter for a background TV screen, tracking in real time the progress of the tug-of-war. All visuals and technology used on set were designed in-house at incite and were used in a practical manner for the commercial shoot, requiring zero post-production special effects.